One of the most famous Japanese printmakers was Kitagaro Utamaro. 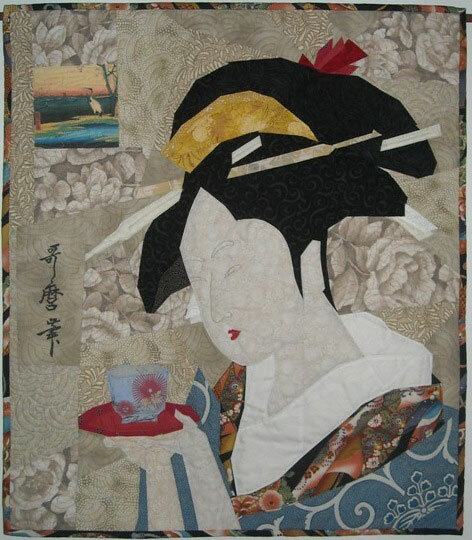 His geisha woodblocks are inspirational as quilts. Not only is the subject matter traditionally Japanese, but the simplicity of form as well as the layers of print in the clothing make it a quilt just waiting to happen!